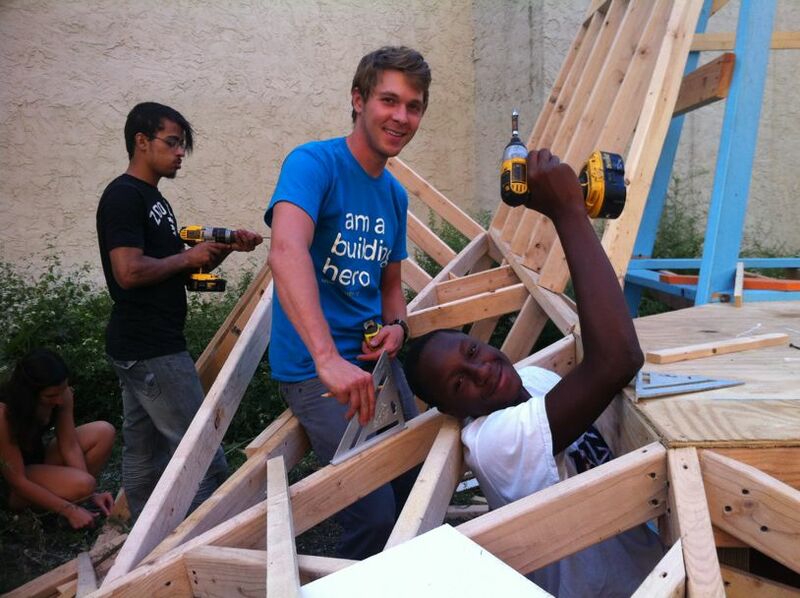 We’re Design-Building Another Adventure Playground(s) In Philly With Teens! ~Jon (and many others) who helped design, build, and play on our TinyWPA adventure playground. We couldn’t be more excited to announce that a proposal by Public Workshop and our fantastic partner, Smith Playground (the second oldest playground in the country, to have our #TinyWPA teens design-build ‘green’ adventure playground challenges at Smith in 2013 has just won a significant grant from the Delaware Green Building Council and the U.S. Green Building Council. 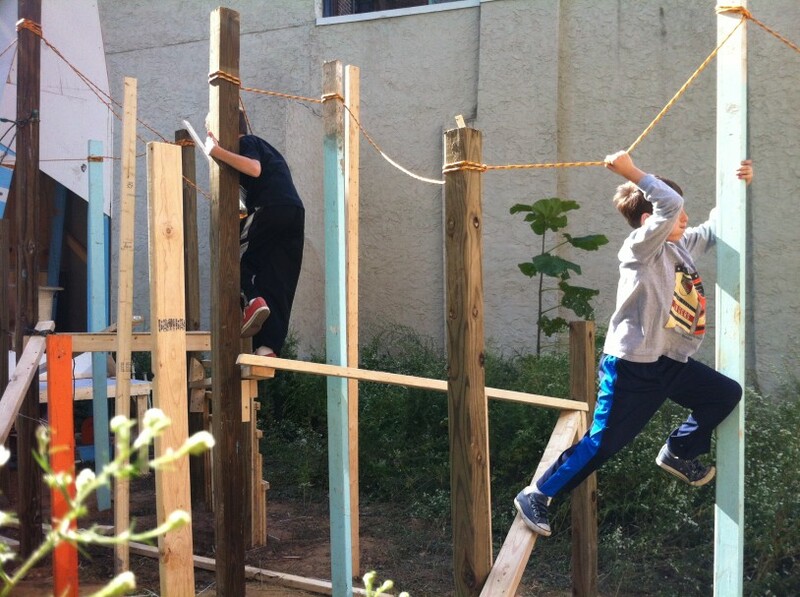 In fact Greenbuild, USGBC’s massive annual green design conference, will be in Philly in 2013 and our adventure playground project will be the conference’s legacy project. This presents a huge opportunity to not only build one of the only permanent adventure playground installations in the country, but to leverage the incredible reach of Smith Playground, DVGBC, USGBC, and Greenbuild to stimulate a much larger conversation about green building techniques, risk, play, learning, and the role of youth in making their cities better places to live. 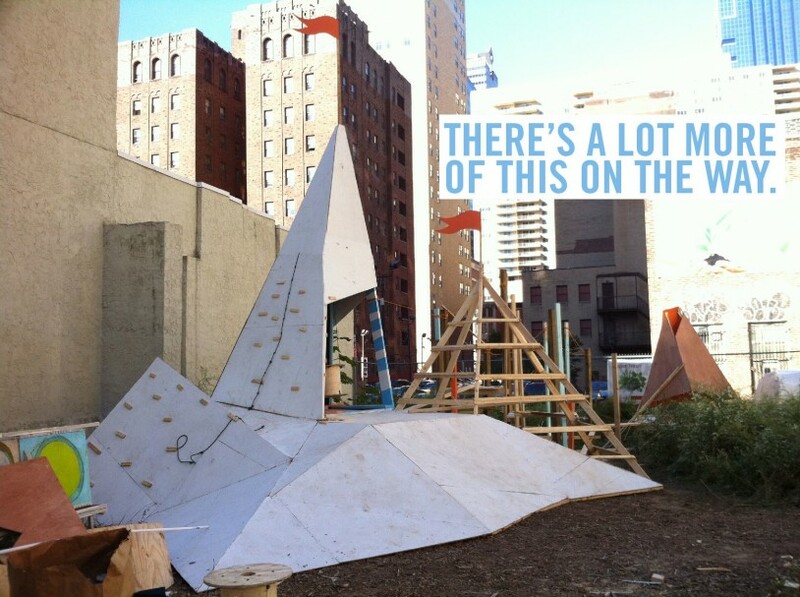 This project builds on the huge response to pop-up adventure playground that we design-built last fall with hundreds of teenagers, young designers, children, and parents in the very center of Philadelphia. But wait, there’s more! We also have received support to do another #TinyWPA project working with teens and a community group in the Olde Kensington neighborhood of Philadelphia to design and build secretly playable park furniture. This furniture will provide needed amenities for the pocket park, help bridge the significant generational divide in the neighborhood, and help reframe the role of some of some of the typically vilified teenagers in the community. So while we have a ways to go before we can say that we have met the desire of Jon and many other’s to have youth-built adventure playgrounds all over Philadelphia, we are pleased with what’s in store for 2013 and can say that these two projects represent the first manifestations of conversations with many different potential partners to do more of this type of work. In the meantime, if you live in Philly, take your kids to Smith Playground. They have some great facilities including a 100+ year old wooden slide and their staff are simply amazing. Did you catch the Slate Magazine article about risk and playgrounds that obliquely referenced our pop-up adventure playground, referring to it as an ‘exception’ and ‘an amazing project’? The article clearly hit a nerve and led to our post describing our pop-up adventure playground getting over 12,000 hits in three days. Want to help out with our #TinyWPA adventure playground build at Smith Playground?